People often joke about the feline creatures as well their fastidious habits of eating. However, it is, in fact, a grave issue when your cat refuses to eat. Though the refusal of eating anything is a problem for any pets, this may be more serious for in case of the cats. While any animal does not like to consume about amount of food, they have to depend on the reserves of fat for getting energy. Prior to the use of the stored energy as fuel, liver has to process it. This process needs the enough protein supply. With the quick loss of weight in any feline animal that prevents eating, the supplies of protein are exhausted very soon. The liver may also turn out to be overwhelmed with the fat. It leads to a risky situation, called as hepatic lipidosis that may cause failure in liver. Disease of some type- Loss of hunger may be a major sign, which indicates that there is something wrong. Thus, you have to be certain that you have given focus, when the cat stops to eat suddenly. Some different kind of conditions can be accountable, such as viruses, kidney damage, intestinal issues, pancreatitis or also cancer. However, the disease may not always severe. Vaccination given recently- Have you found your feline creature’s loss of appetite just after taking it to your vet for vaccination? When this is the case, the main cause of your pet’s denial to eat can be because of the negative reaction to the vaccination. Though the vaccination is considered to be lifesavers for most of the creatures, they may lead to some adverse effects. Thus, appetite loss is a very common side effect that is generally mild and temporary. Travel or some unknown environment- Most of the cats, just as humans, can adjust only to the particular habitat. Thus, an alteration in the daily schedule may lead to the appetite loss. In addition to it, some of the creatures suffer from motion sickness while going to somewhere by plane or vehicle that may cause nausea as well as a rejection of food. Finicky attitude or emotional problems- While your vet has found out that the cats are not sick physically, the depression or anxiety may be one of the causes for which the cats do not prefer to eat. Some modifications in any household may be alarming to many of the sensitive felines, and at times, new changes or people in the recognizable routines may affect the mental comfort. Or, the cat may be only fastidious eater. 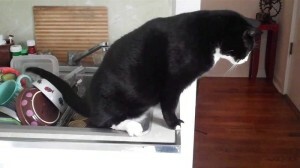 Remember that generally the cats may take much time for adjustment to some fresh kinds of the foodstuffs. Thus, recent alteration in any diet chart may be the cause. 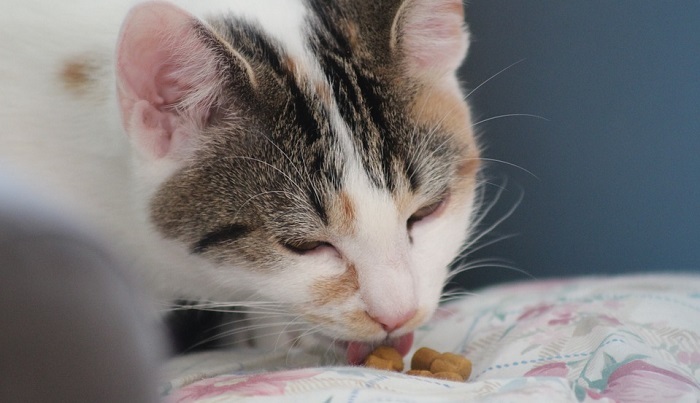 The disease, related to teeth, can also be the cause for your kitten not eating. However, oral tumors and some other inflammatory diseases may also be accountable. The mouth of your cat can be painful due to infection or injury. As a result, the chewing process can be painful and difficult. It may have swelling, reddened gums, an injury in the mouth or busted teeth. A visit to any vet must comprise an evaluation of the cat’s mouth as well as the dental exam and teeth cleaning. In addition to the refusal of eating, the loss of weight, diarrhea, vomiting and constipation may be the symptoms of GI problem. Just your vet may be able to make out a GI issue, thus, it is significant to contact him as soon as possible. Many cat owners believe that an alteration of diet may help in removing GI problem. However, you must not attempt to treat the feline without one’s help or without the right diagnosis with the help of veterinarian. 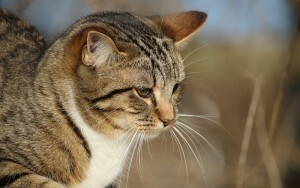 Another general cause of your cats’ discomfort, especially, the older one, is the kidney problem. Just as GI issues, kidney syndrome causes vomiting that may lead the cat refuse the foods. Only an expert veterinarian may identify this disease. It may depend on the relevant cause of your cat’s loss of hunger. While the cat has some dental disorder or stinging teeth, there is a need of the teeth extraction under some anaesthetic. When the feline remains anorexic because of disease, the process of treatment may rely on the experts’ analysis. It is significant to make the cat recovered as fast as possible. Many cats can experience anorexia that can lead to hepatic lipidosis, which is one of the severe intricacies that may be grave. In some serious instances, the veterinarian can also suggest syringe for feeding any liquid food. Besides, feeding tube can also be placed to make sure that the cat is obtaining enough level of the essential nutrients that can give best health. But, such initiatives are recommended only in combination with the diagnosis of the medical condition. Thus, always be aware when your cat has stopped its eating.